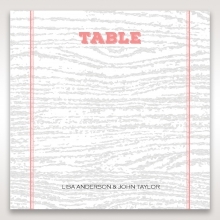 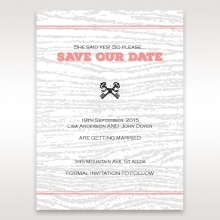 We love this understated, clever wedding invitation. 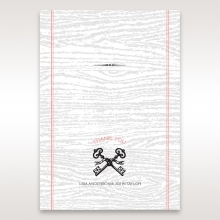 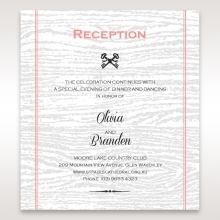 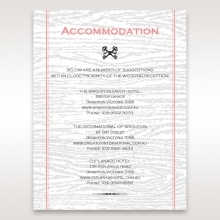 The white card embodies wood detailing that is textured with a grey shading. 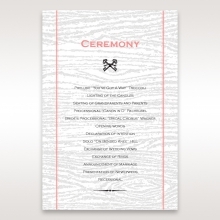 Your wedding details are printed on the center portion of the trifold. 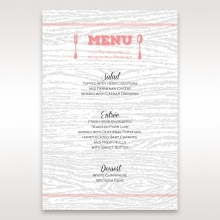 We use our signature raised ink method for your information. 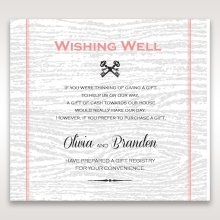 The bottom portion of the card is actually detachable! 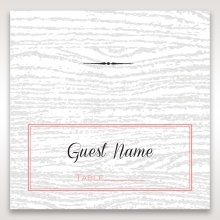 It is the RSVP card, which each of your invitees can use to inform you of their attendance. 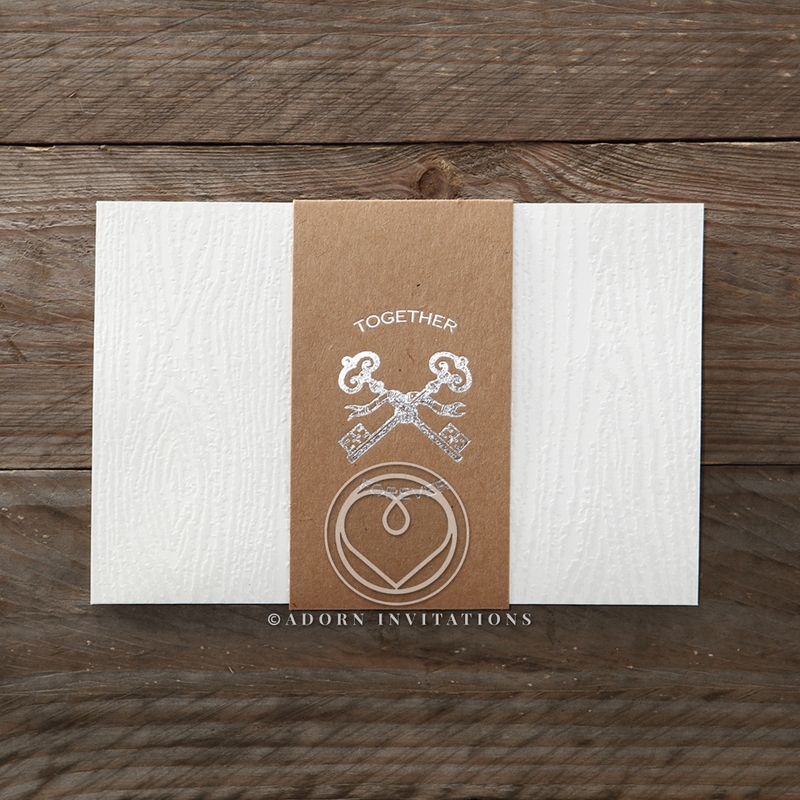 The entire card folds in a trifold design with a craft paper band holding it all together. 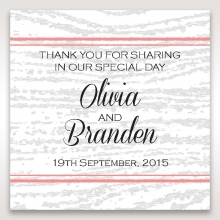 Silver stamping on the band says "Together Forever" and adds additional details to an otherwise simple card.